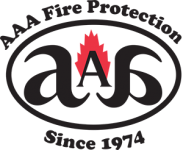 Palo Alto businesses can find expert fire extinguisher services through AAA Fire Protection Services. Our 40 years in business makes us an expert in helping businesses just like yours deal with the California Code of Regulations (CCR) Title 8, Section 6151. We offer quality services at affordable rates as well as ongoing services and fire extinguisher sales. We are a family owned business and take pride in the long-term and positive relationships that we bring to every account that we service. Our fire extinguisher services include annual checks, recharging services, and hydrostatic testing as outlined by the California fire code. We work with businesses of all sizes throughout the entire San Francisco Bay Area, including Silicon Valley and the South Bay Area. We work with companies who have existing citations and those who wish to avoid them. Our expert team helps bring your company into compliance and to also keep your company in compliance with our comprehensive fire extinguisher services. For more information about working with us, or if we can answer your questions, just give us a call at (800) 543-5556.